Let's meet at VIV China! You are welcome at our booth # 05 F045. International trade show from Feed to Food for China. 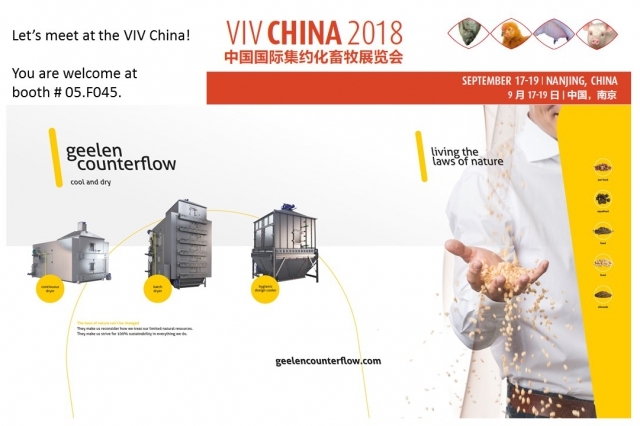 VIV China is one of the premium-quality trade show belonging to the VIV worldwide series of events. This show has developed to a truly international platform serving the Chinese market. Following China’s requirements for modernization, standardized livestock production, increased animal health and higher quality standards, VIV China is playing nowadays a very important role connecting the local and overseas industries to bring the best in animal husbandry to China.